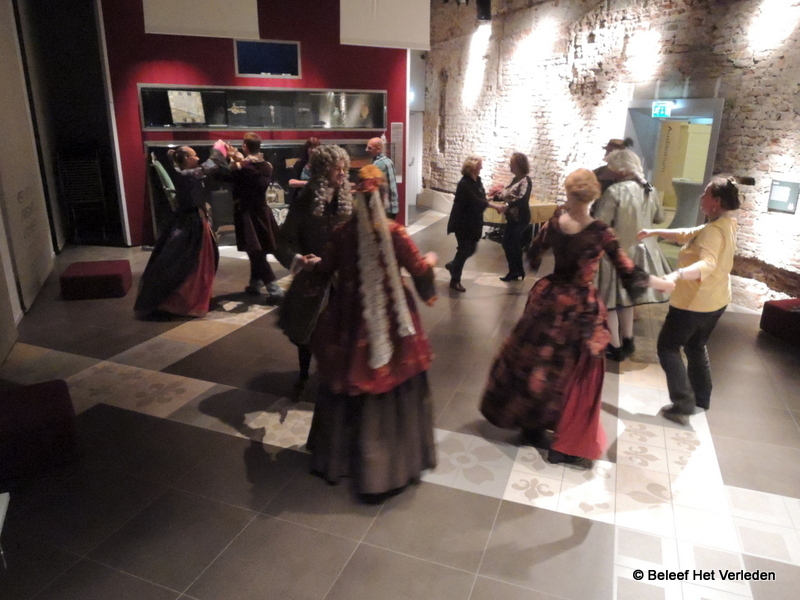 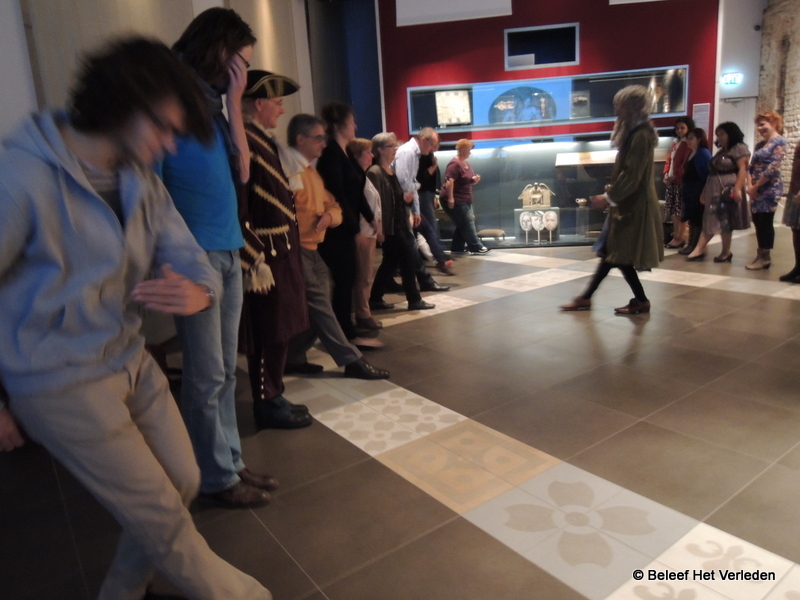 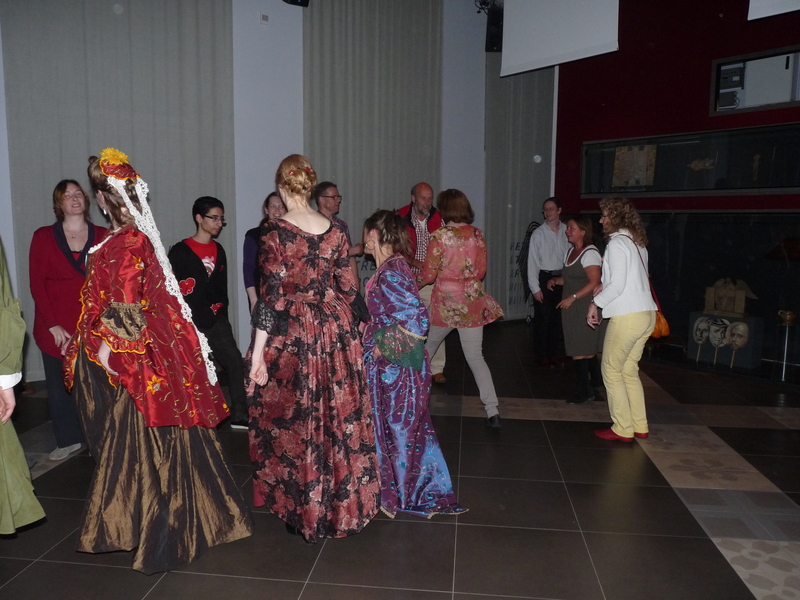 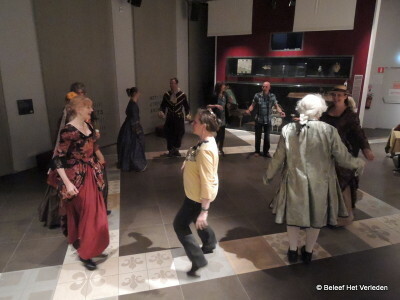 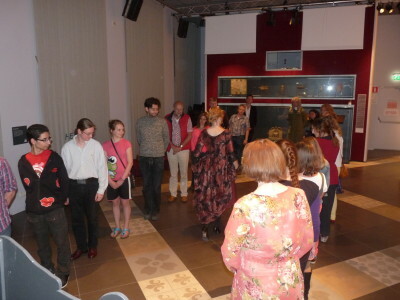 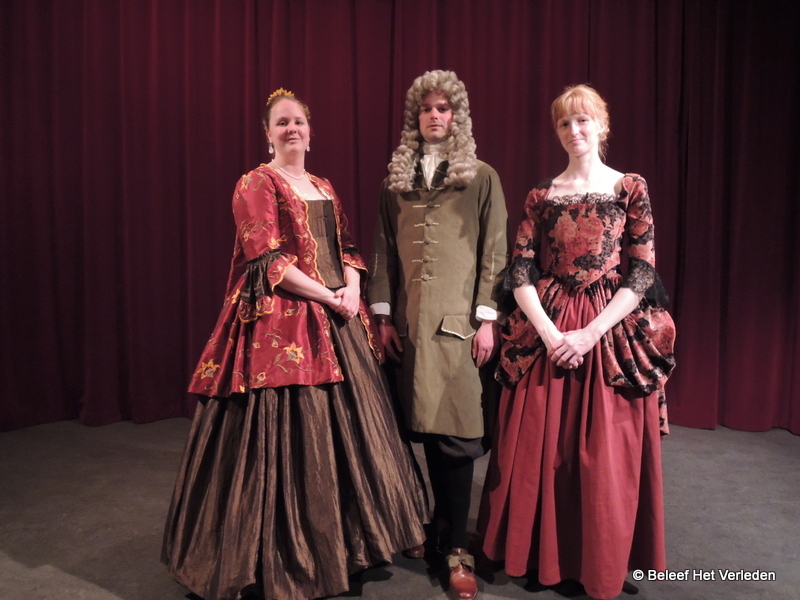 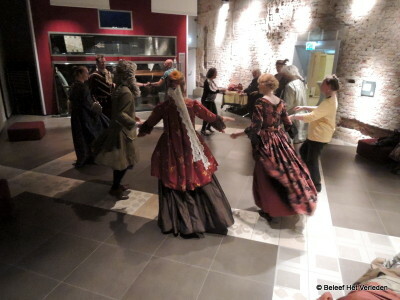 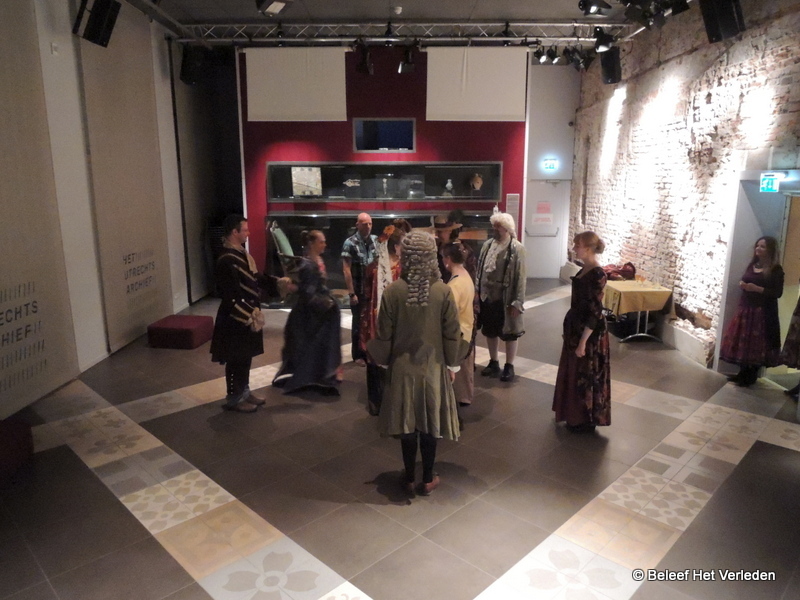 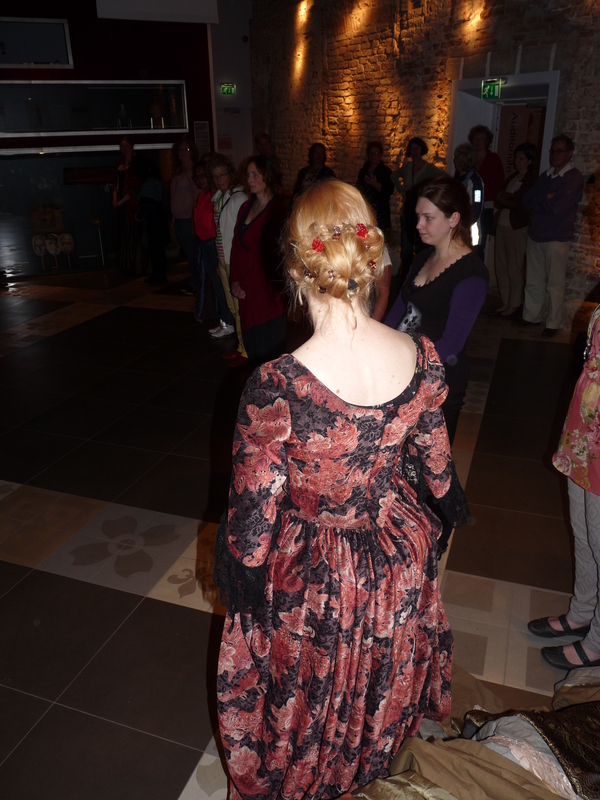 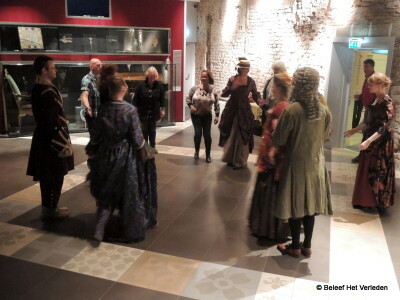 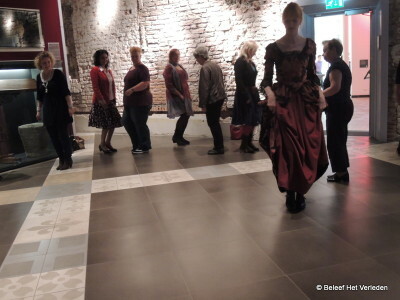 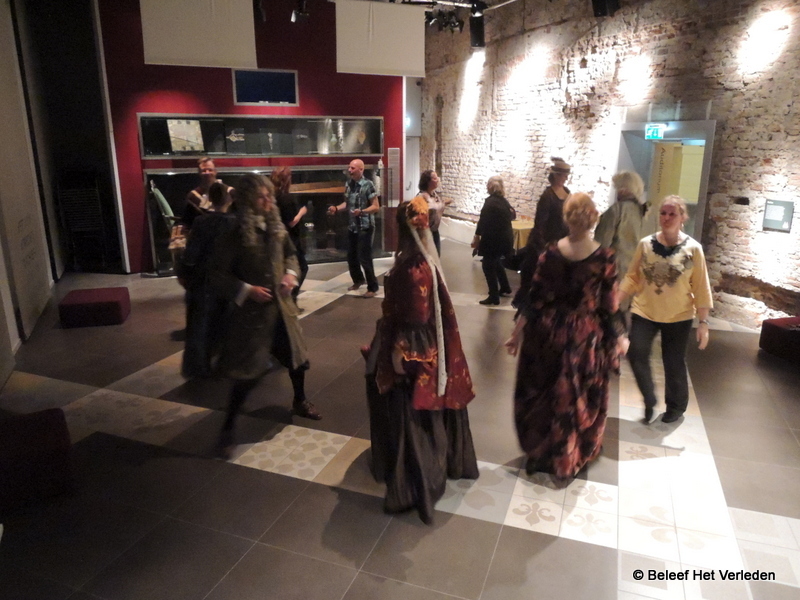 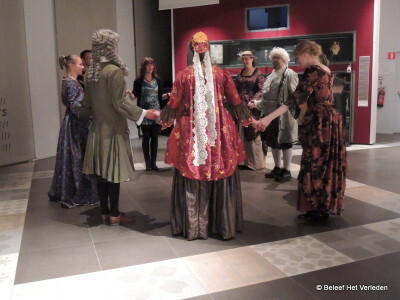 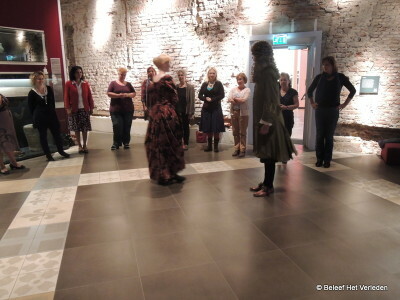 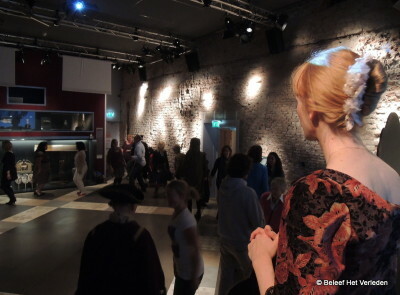 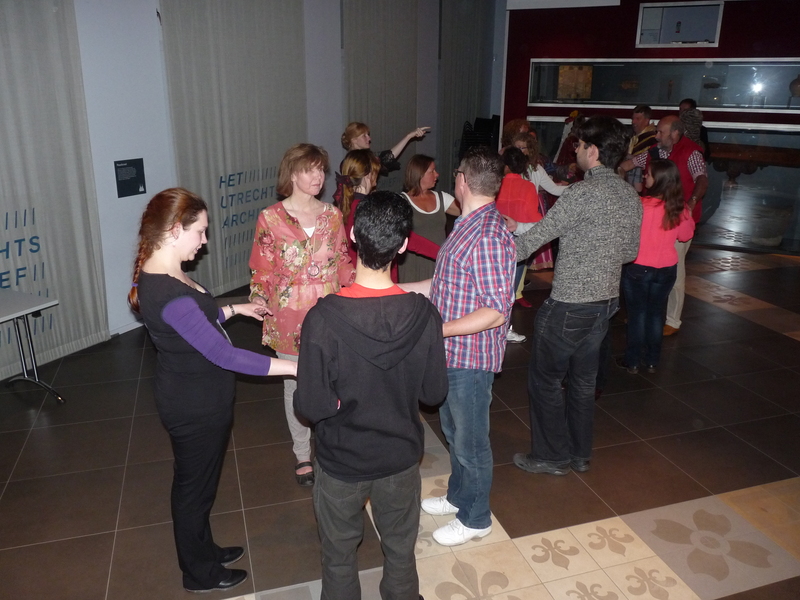 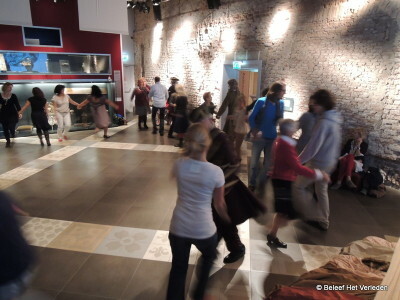 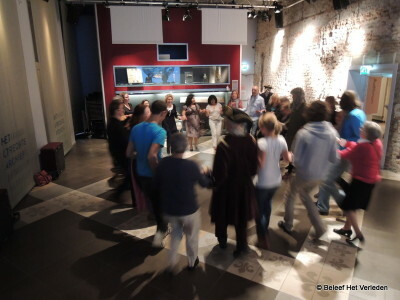 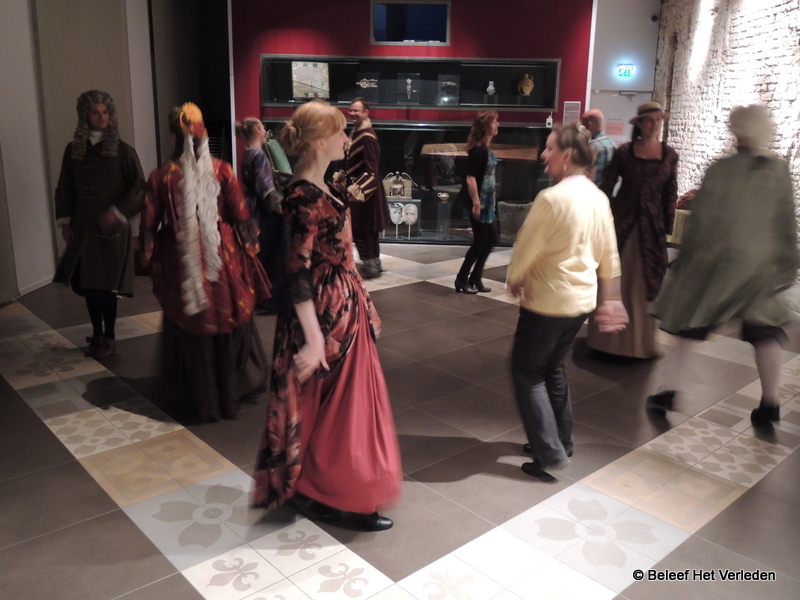 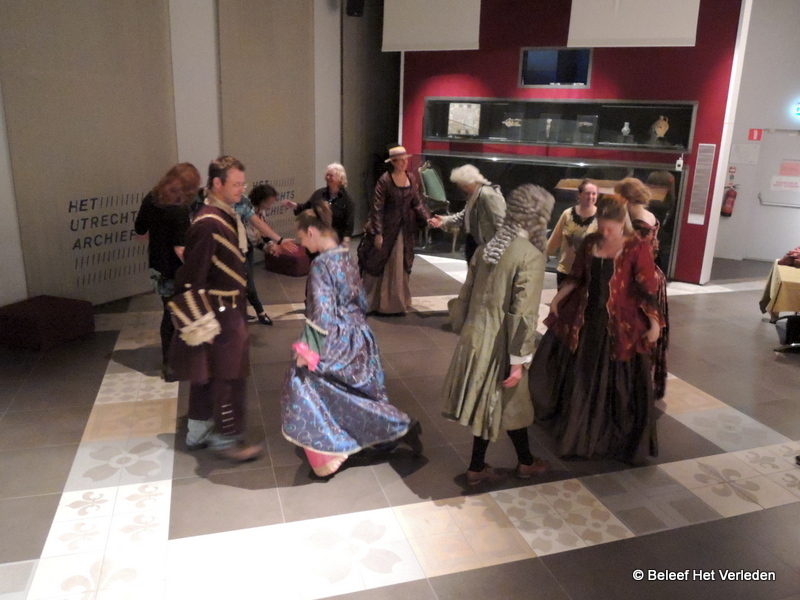 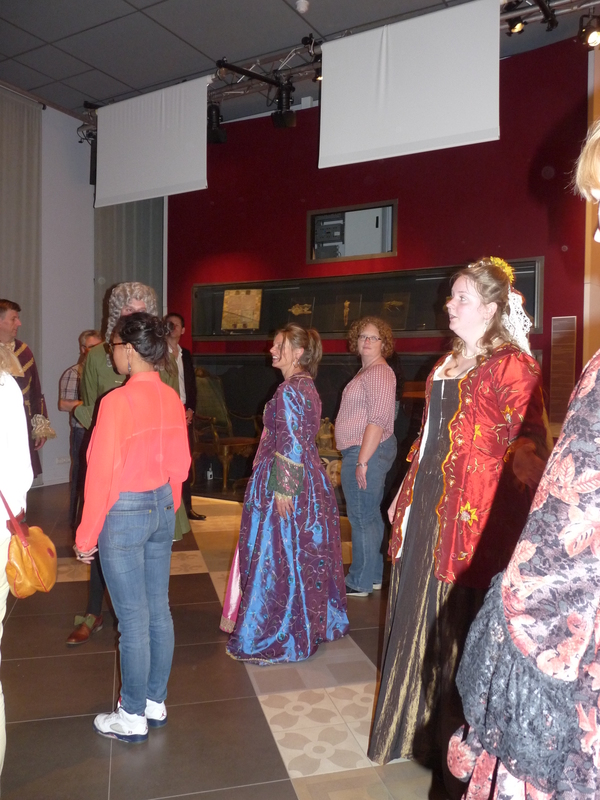 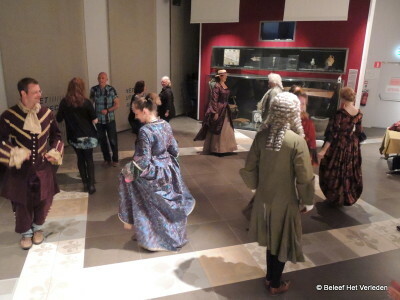 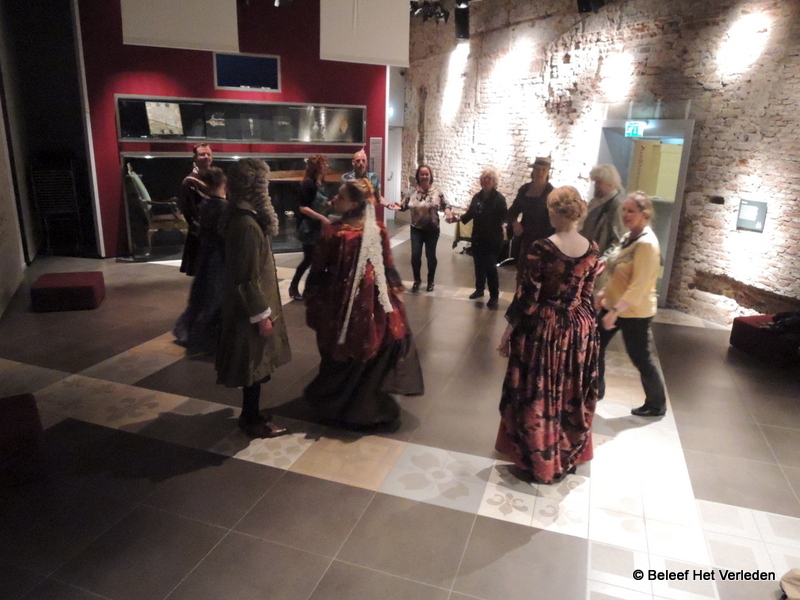 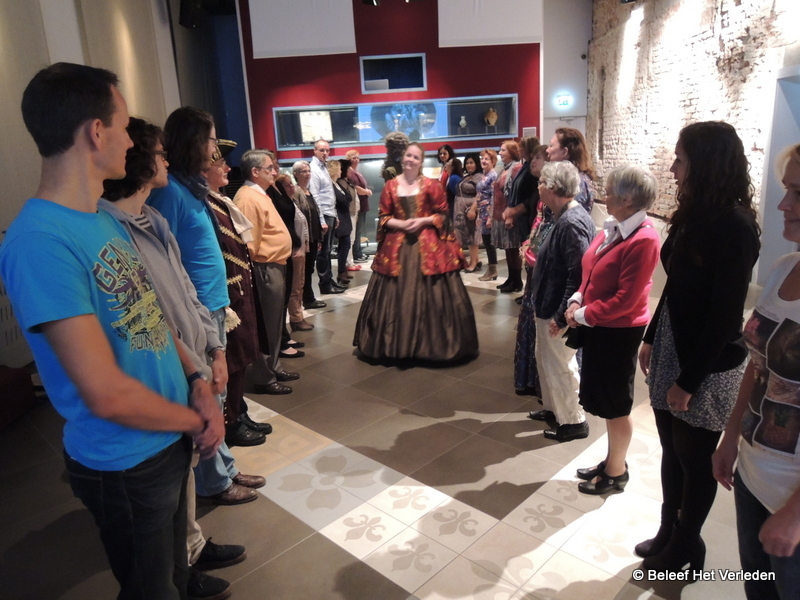 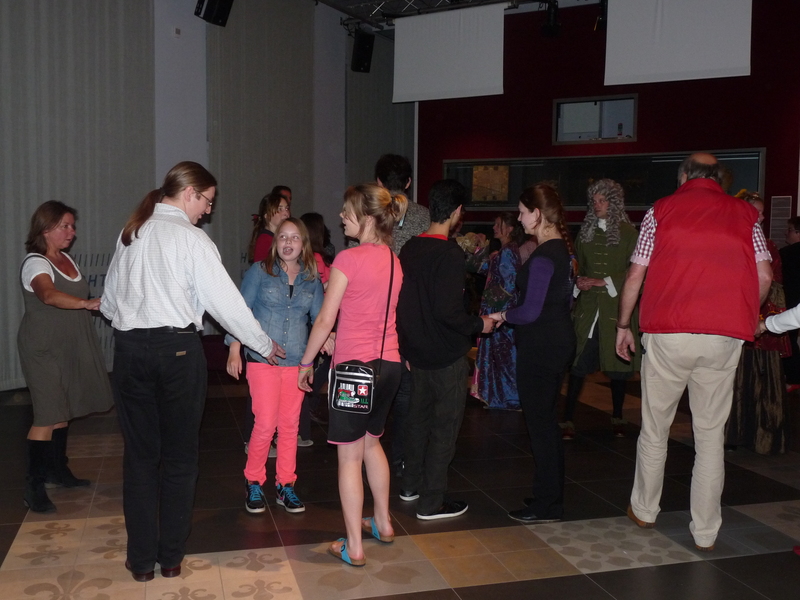 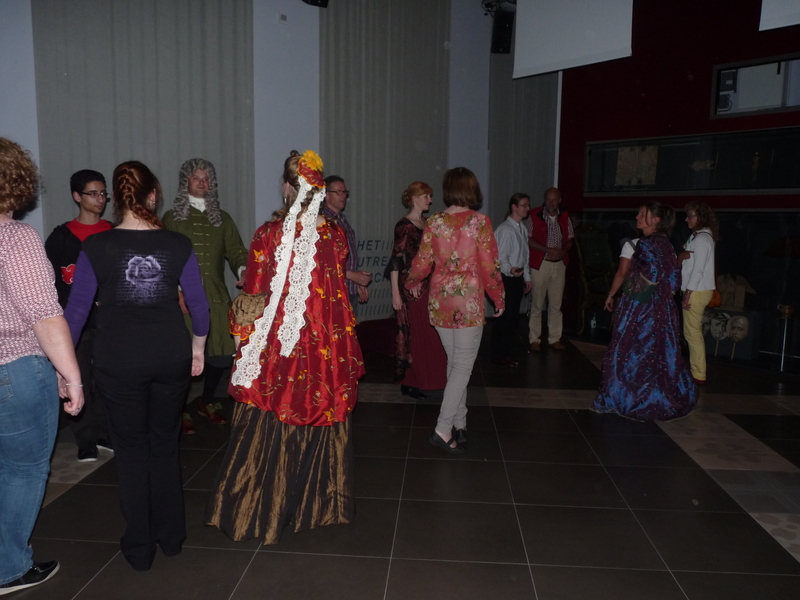 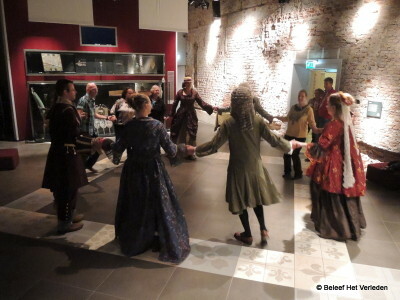 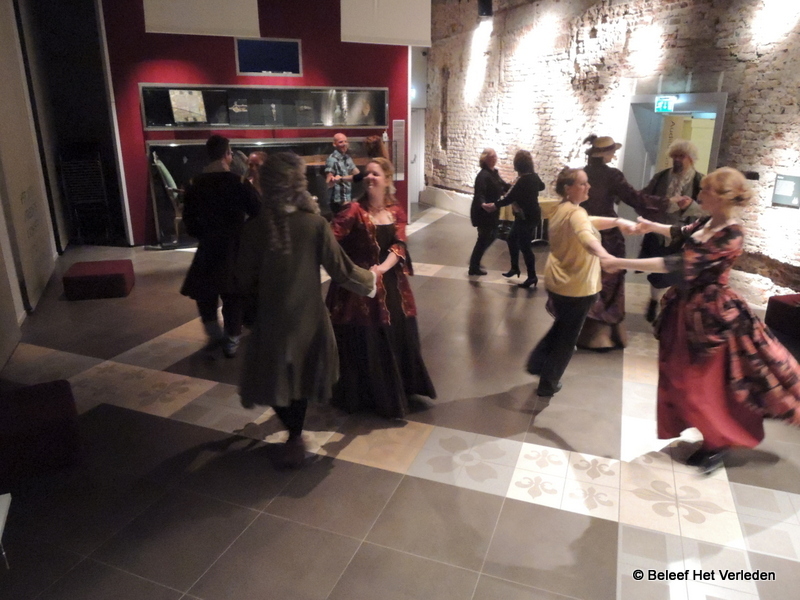 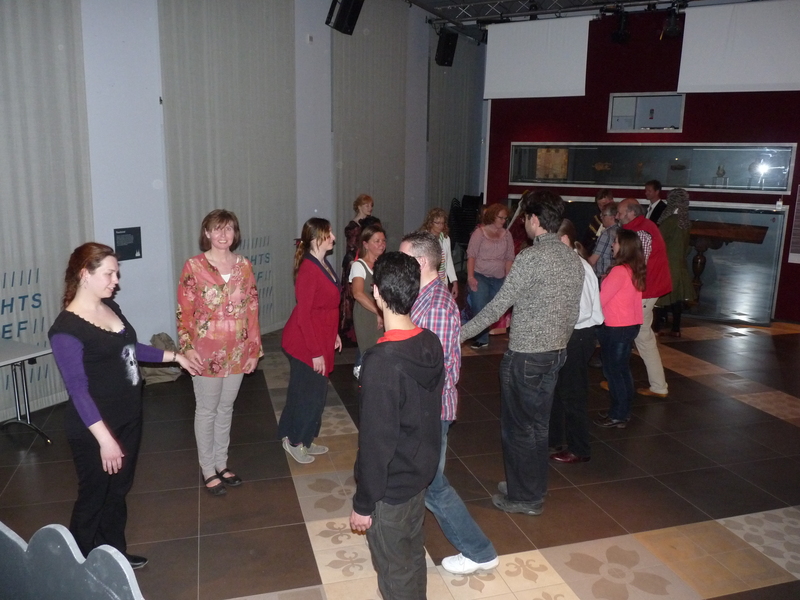 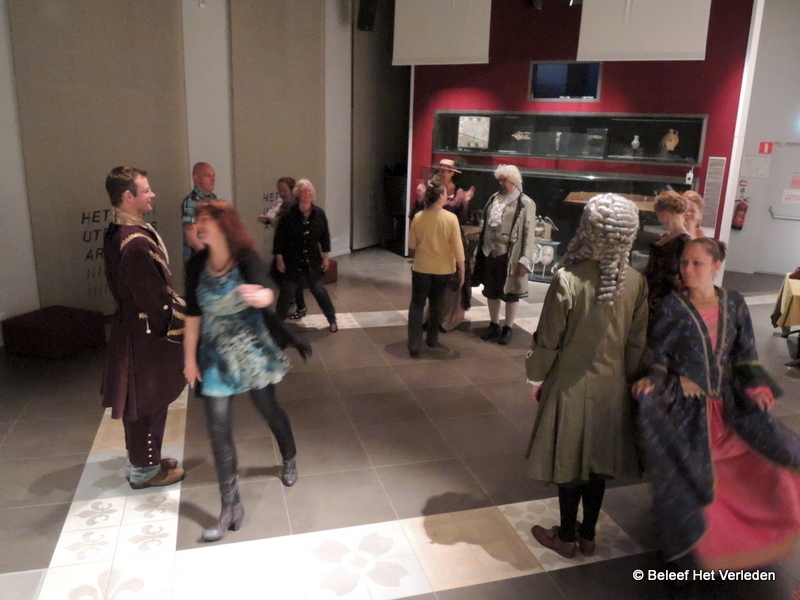 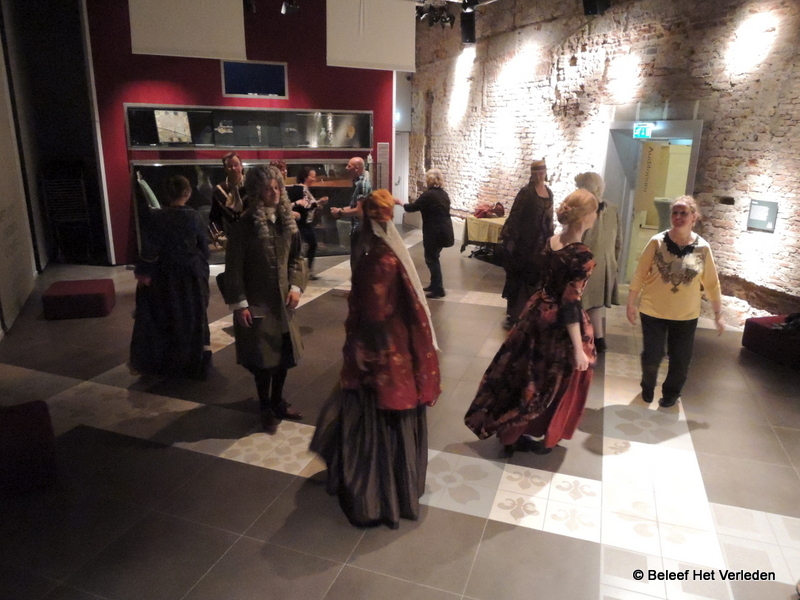 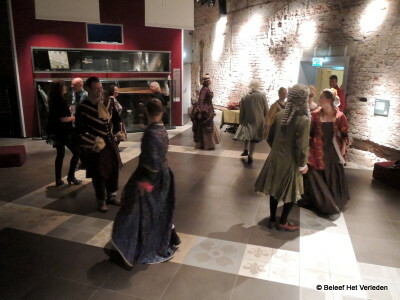 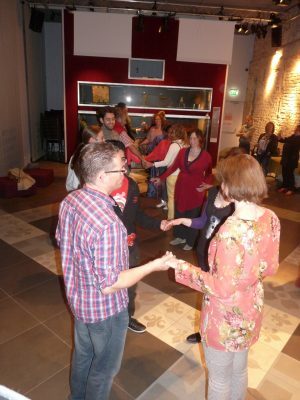 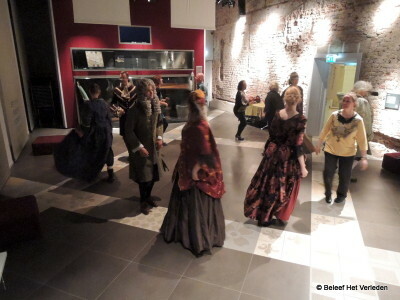 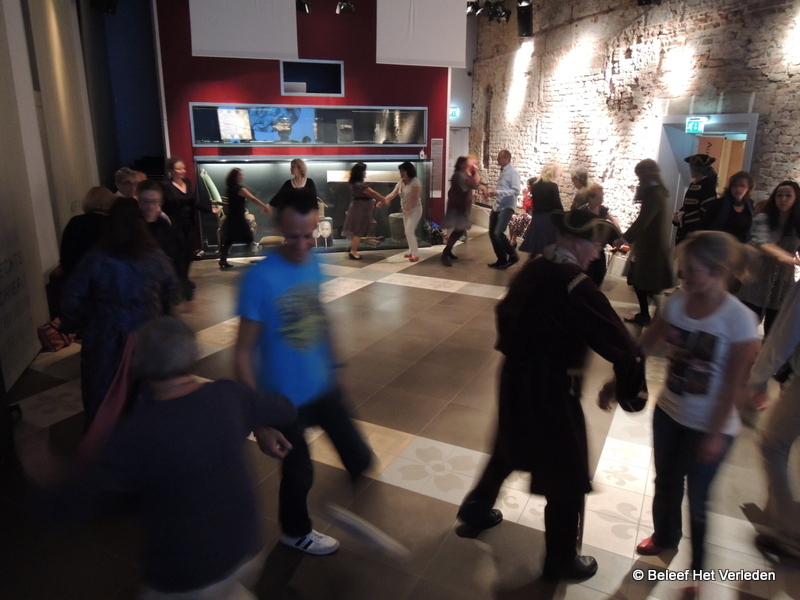 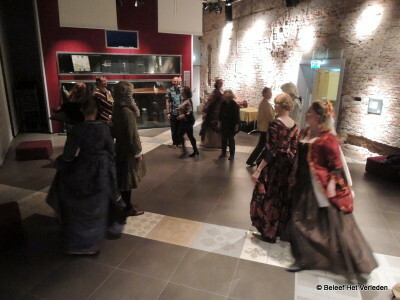 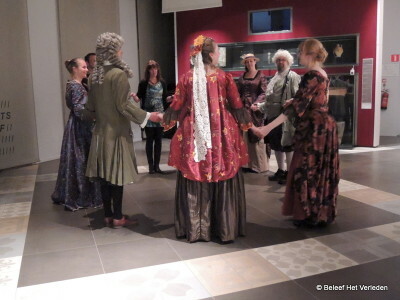 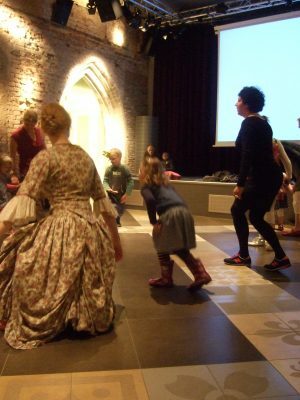 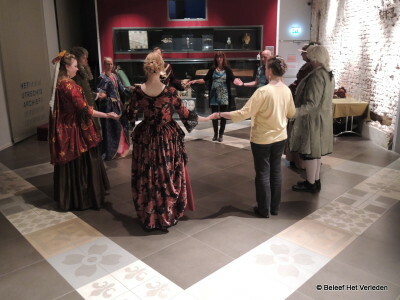 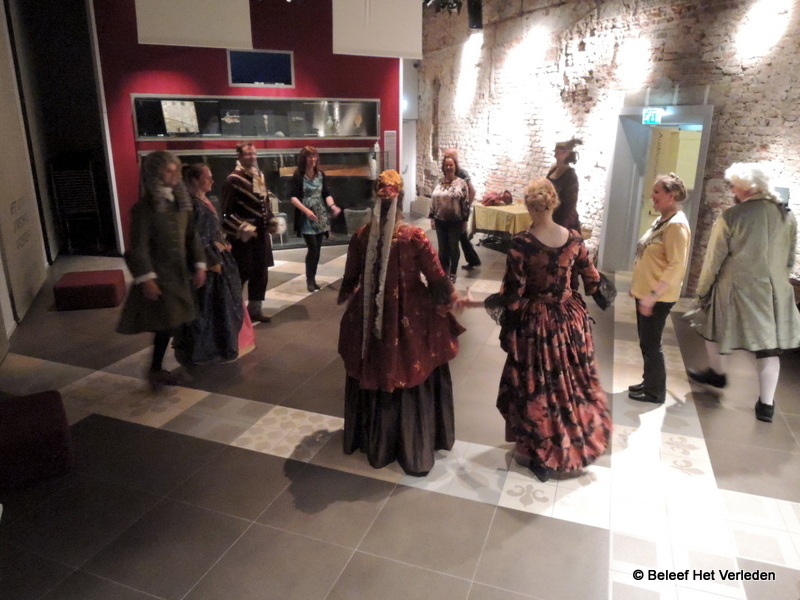 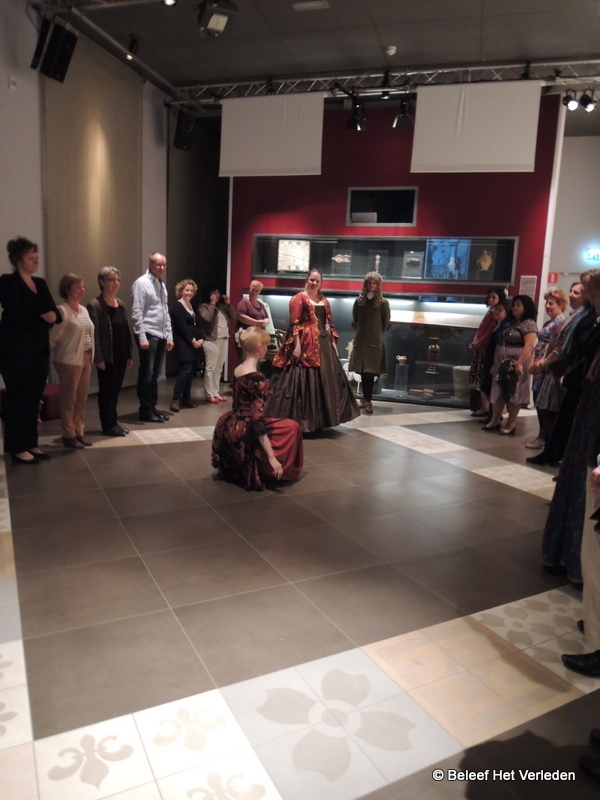 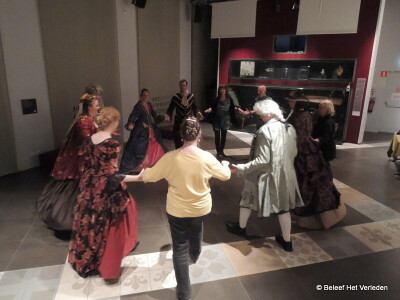 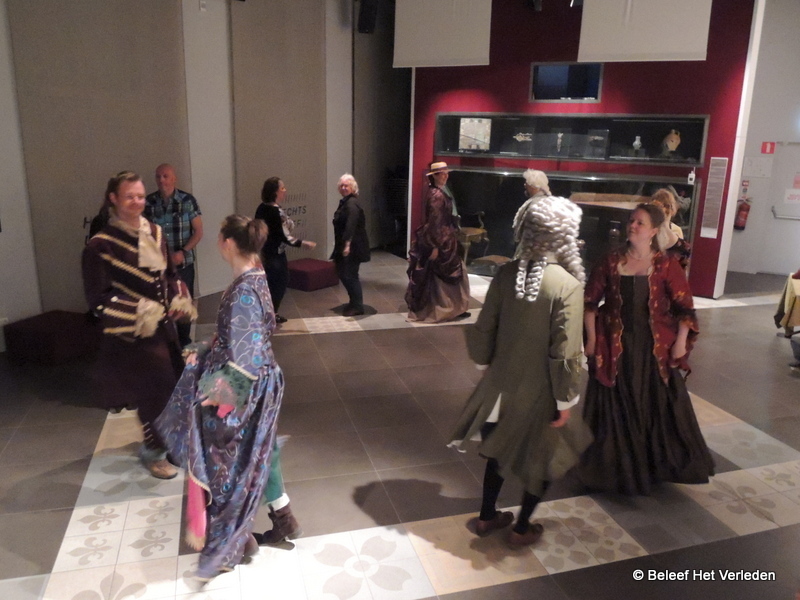 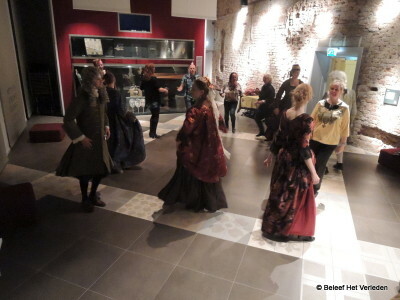 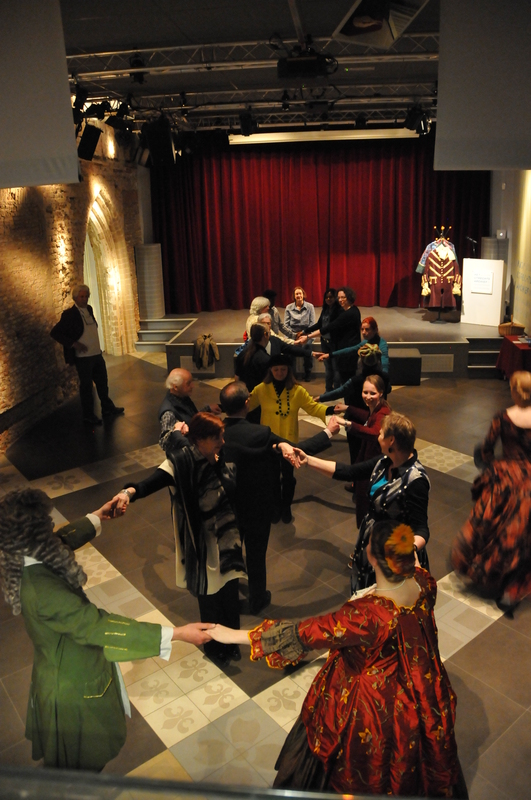 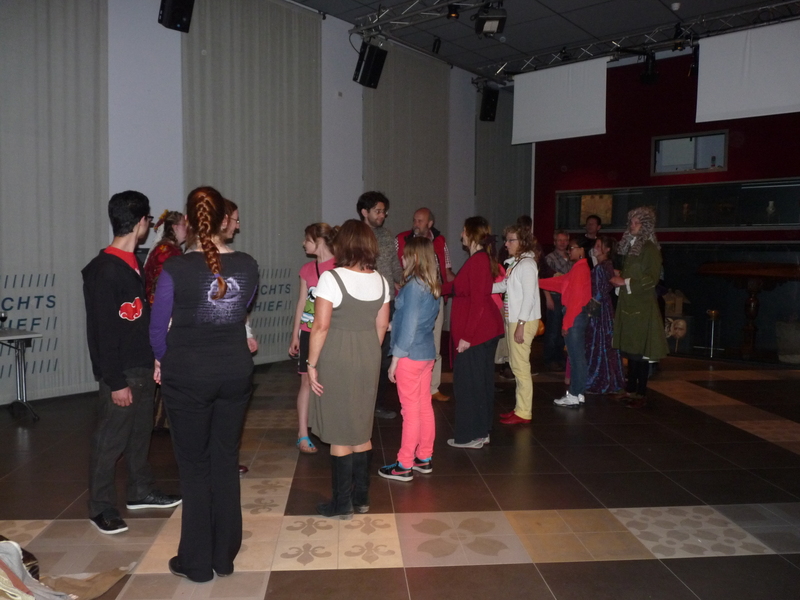 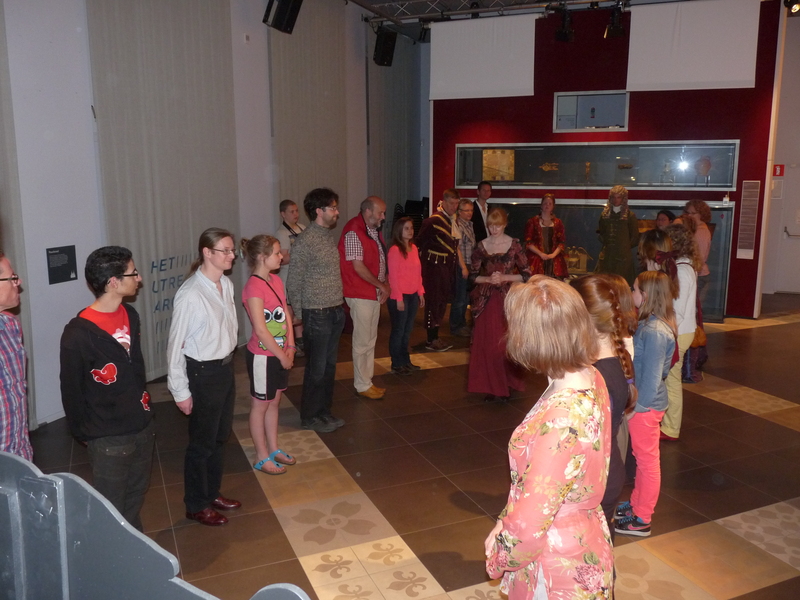 Within the context of Peace of Utrecht 1713-2013 Experience the Past organized a number of historic dancing workshops and explanation of etiquette at the Utrechts Archives, in the auditorium, Hamburgerstraat 28, Utrecht. Entry was free! 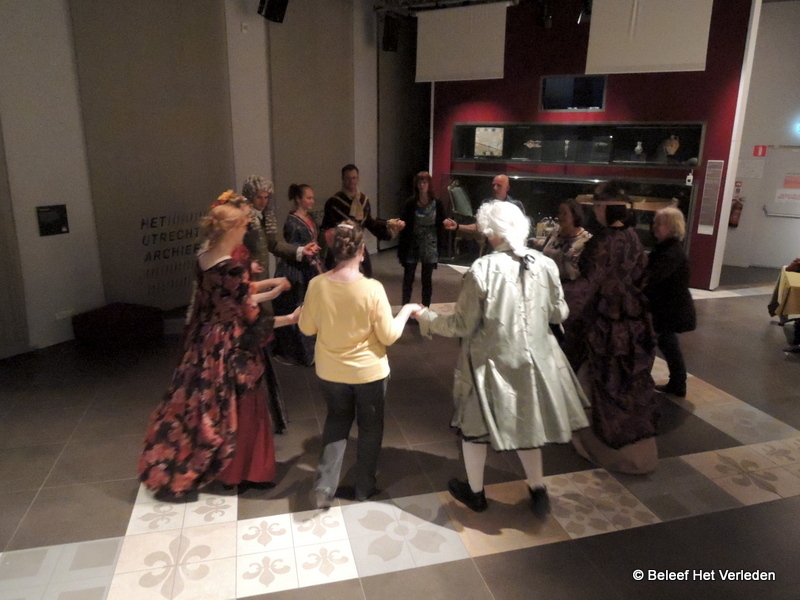 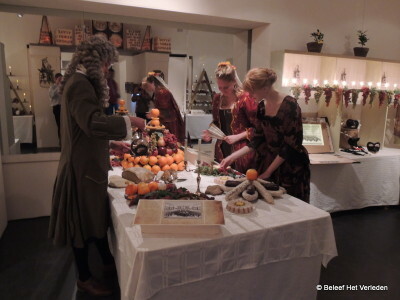 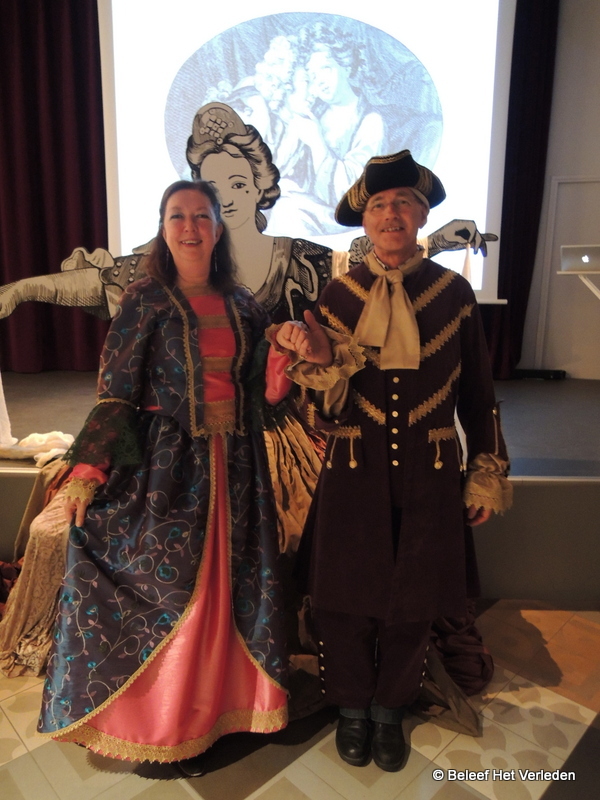 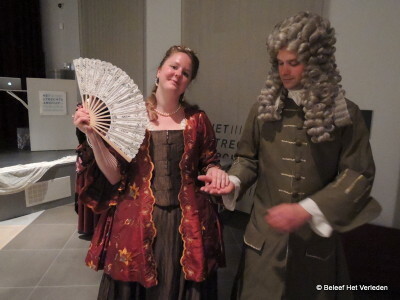 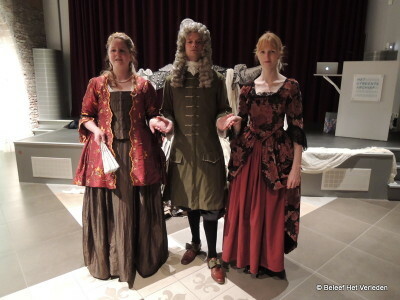 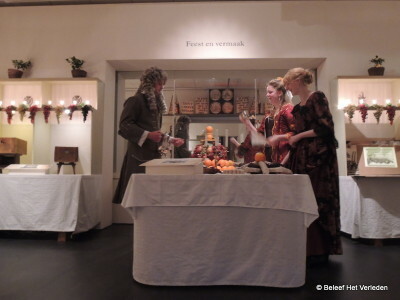 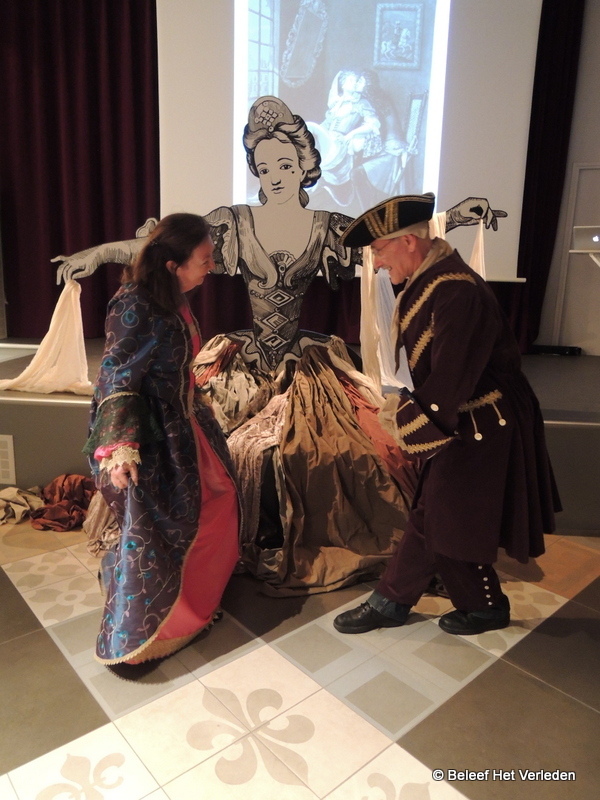 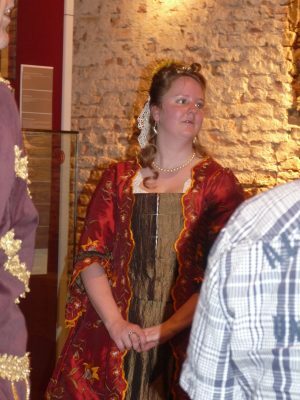 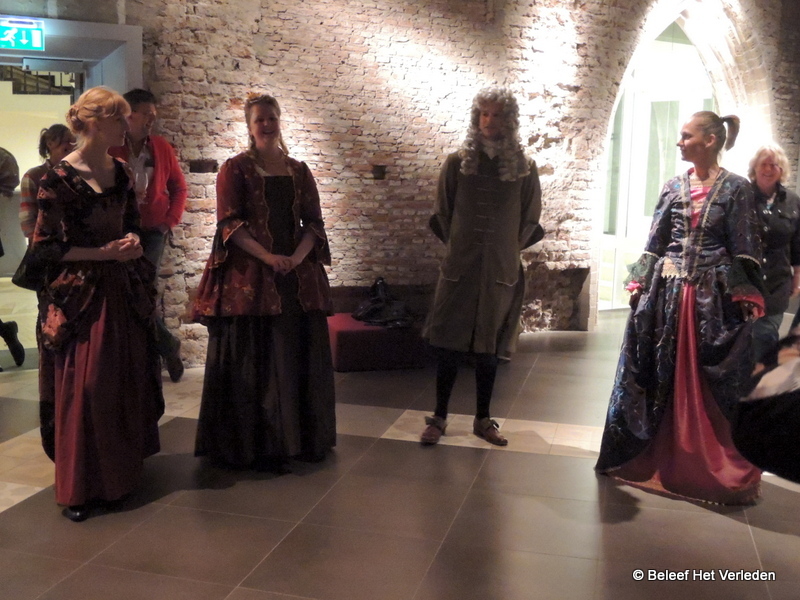 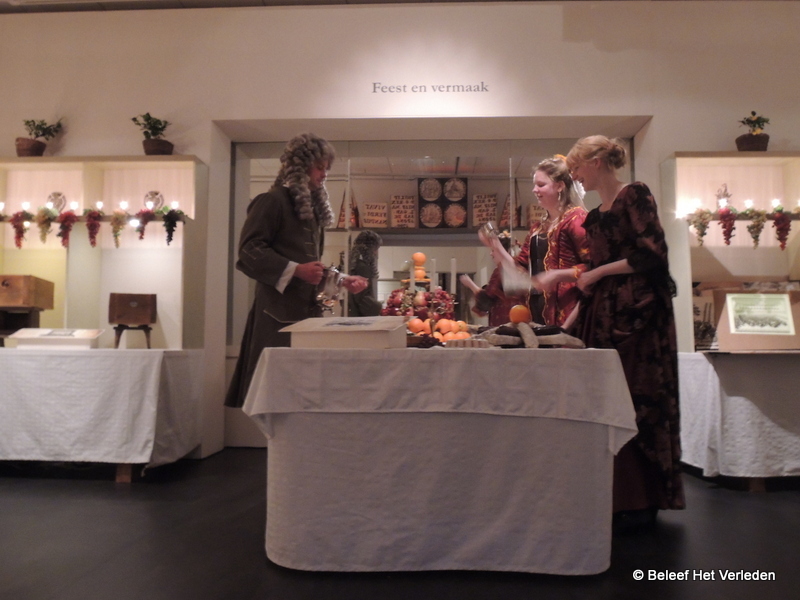 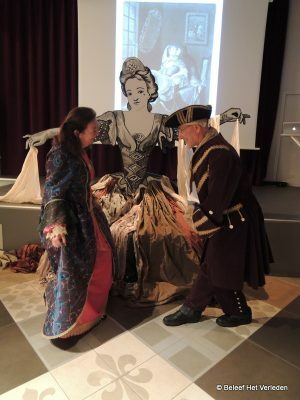 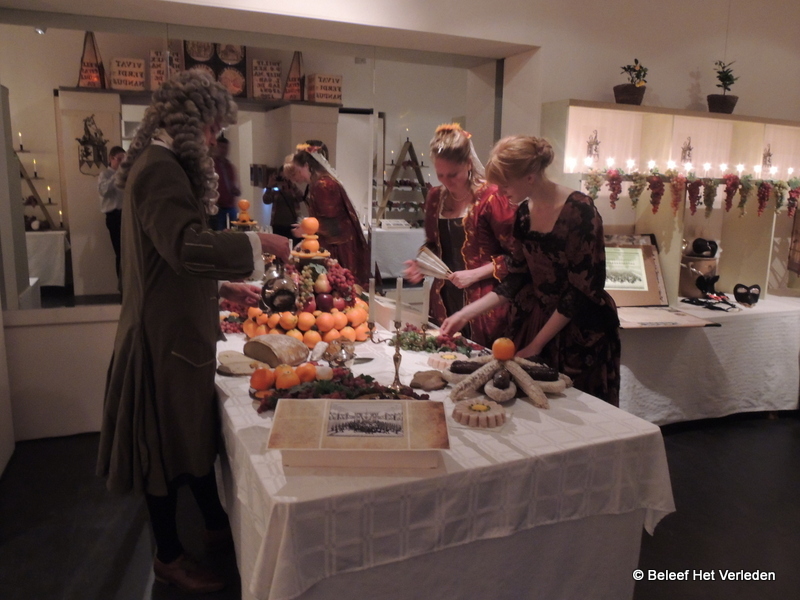 Besides dance and etiquette we took the pulic back with us to the Peace of Utrecht in 1713 and teh gossip about the diplomats and their mistresses! 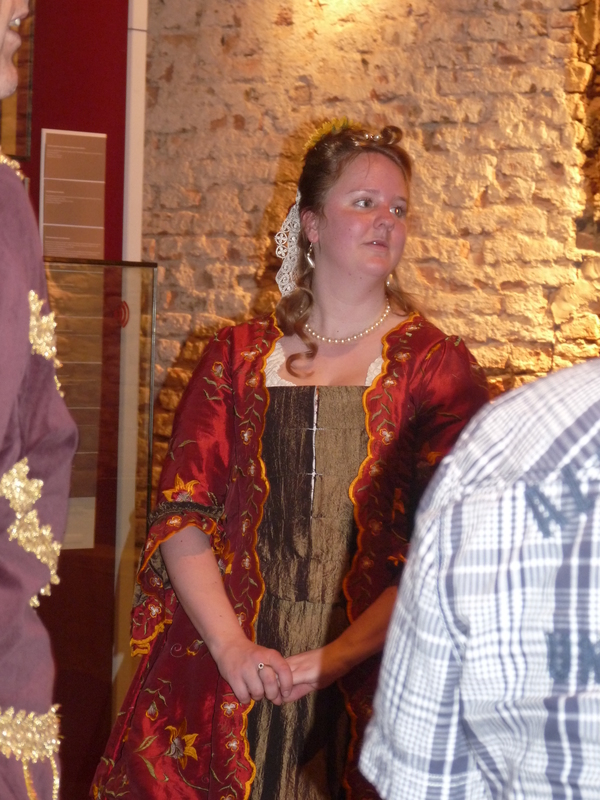 Discover the scandals and hidden pleasures and learn how one was supposed to behave. 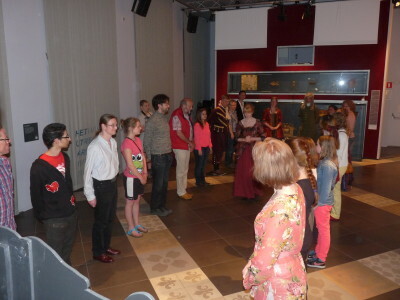 On sunday teh 14th of April there was a special day for children. 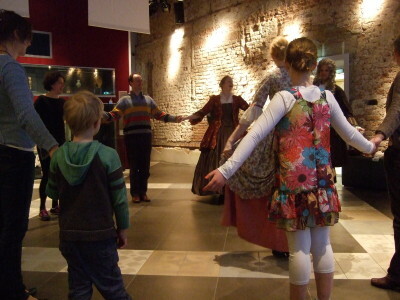 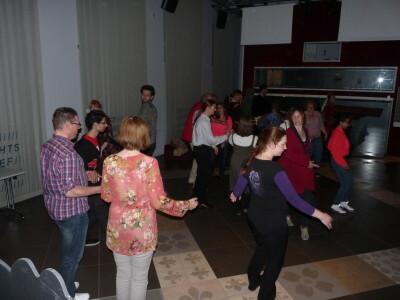 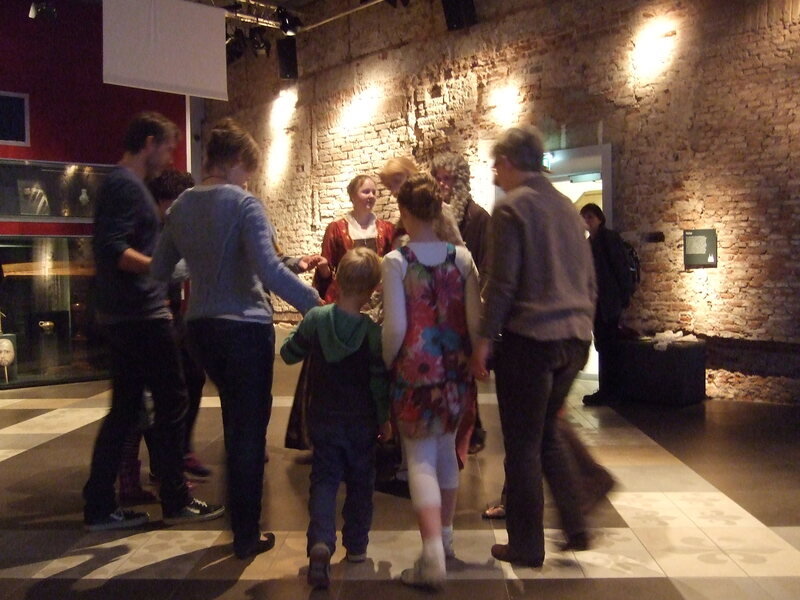 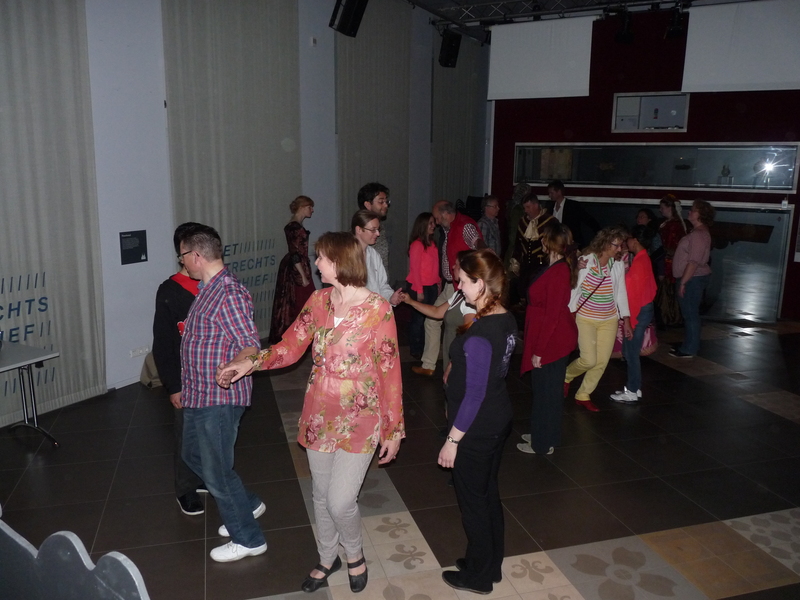 Children and parents danced cheerfully. 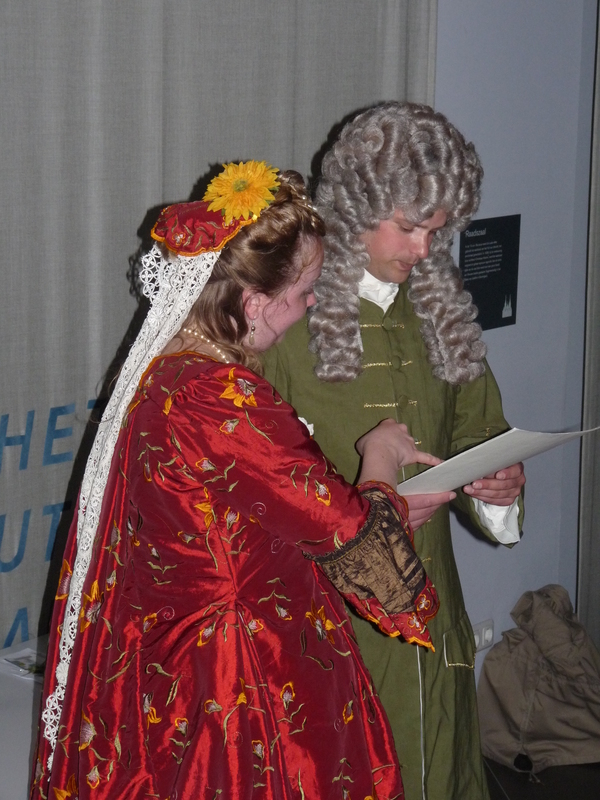 Stories about mistresses were left out, but of course education and schooling in the early 18th century was discussed. 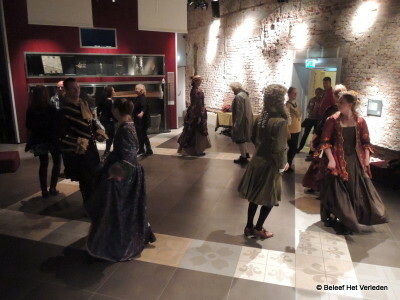 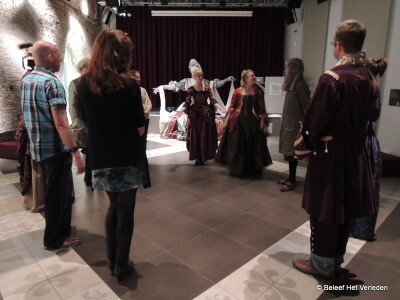 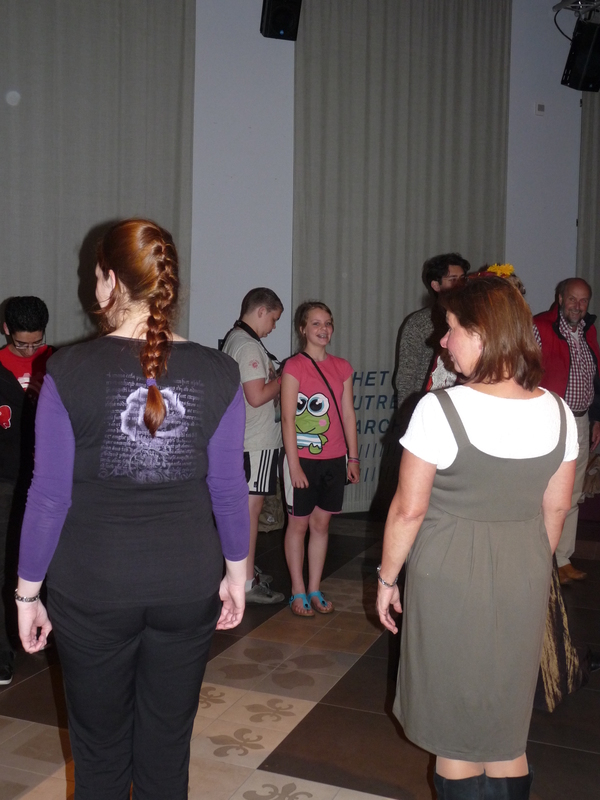 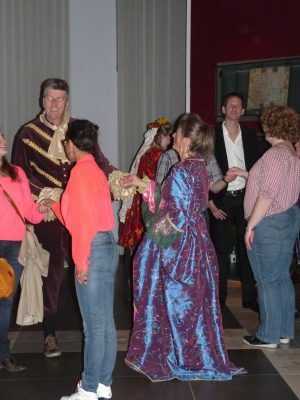 There were two costumes available for the public aat the "Balll". We asked the visitors come in historic costumes, and a few had done so. The result was a merry gathering! 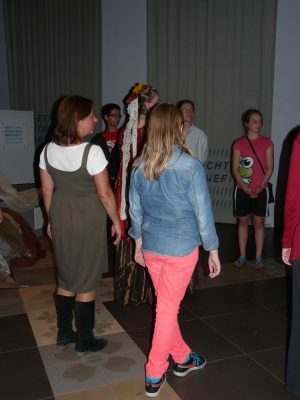 It was fun to see the public had acted on the call to come in historic costumes! Below are some photos by Nettie Stoppelenburg on the 31st of May of 2013. 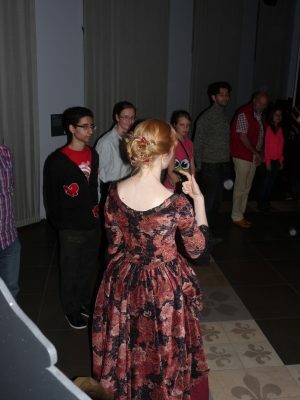 How is one supposed to behave at a ball?